It appears we may be less fortunate this weekend but currently it is by no means looking like a washout! (I do hope I won’t regret saying that.) 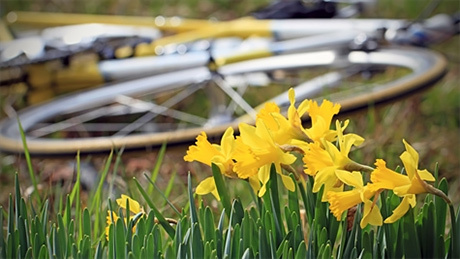 Café Plus this week heads out NW into the Leicestershire Wolds to enjoy more of the sights and sounds of spring. Café stop is planned for the award winning Nice Pie Café for those that prefer savoury (don’t worry there is still cake I am assured). Some new roads for me although some of you may know that area. As always we leave OCC at 9:00 for 50 miles of social riding at a pace to suit the slowest rider but likely to be 15-16 mph and should be back to Oakham for 1:00 pm. Plenty of time to catch up with old friends and make new ones so do join us for a social pedal around the Wolds – hope to see you then.